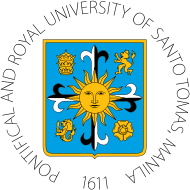 The Pontifical and Royal University of Santo Tomas, commonly known as University of Santo Tomas and usually abbreviated as UST, is a private, Roman Catholic university run by the Dominican Order. Founded in 1611 and elevated to a university status in 1645, it is the oldest university in the Philippines and in Asia. Its different departments offer a wide variety of programs that grant undergraduate, graduate, and post-graduate degrees; the most famous of which are its health sciences and medical programs. Passing the University of Santo Tomas Entrance Test (USTET) is one of the requirements in seeking admission to the university. Courses in the Philippines is not affiliated with University of Santo Tomas. For specific questions and other concerns, please get in touch with their official representatives or visit their official website for more information.